Wikipedia defines biomechanics in sports as "The muscular, joint and skeletal actions of the body during execution of a given task, skill or technique. Proper understanding of biomechanics relating to sports skill has the greatest implications on: sports performance, rehabilitation and injury prevention, along with sport mastery." 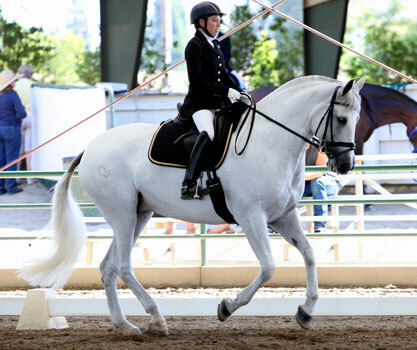 So, what does that all mean in terms of riding dressage? On the most basic level it means that by learning exactly how to use your muscles and bend your joints when you ride will make you a better rider and help prevent injury. Sounds good right? Take a moment to think back to the last lesson you took. Can you recall during the lesson any detailed descriptions of the action of a specific muscle or joint? Did your trainer ask you to describe in your own words how something in your body felt during the ride, or what physical actions you did to create a movement, gait or transition? How about any hands on manipulation of your body so you could feel exactly what and how you should be moving or not moving? If you answered no to any or all of these, chances are you've been riding and learning without thinking about the mechanics of your body at all. When you start to ride with a deep focus (I can teach you this too!) on the actions of your own body before your horse's, amazing things begin to happen. First you'll probably find you hurt in muscles you didn't know you had : ) Then, you'll feel more stable and better able to match the forces of your horse's gaits. Next, you'll notice that your horse goes better, lots better even. 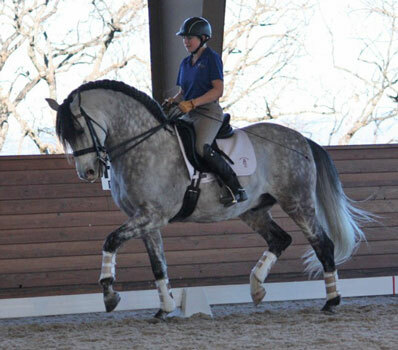 You'll have better control of yourself that leads to clearer aids and less "white noise" from your body to your horse. Horse's love this. And they respond by being more attentive, more elastic and more expressive. Intrigued? Contact me for more information on rider biomechanics and how I can teach you to be more stable on your horse, give clearer aids and Start Riding in the Right Direction. Want to host a clinic at your barn? Read more about biomechanic clinics and how you can host one at your facility.